It was my roommate’s birthday last night and to celebrate it a bunch of us went out for fancy pizza at this new joint on Atlantic Ave. 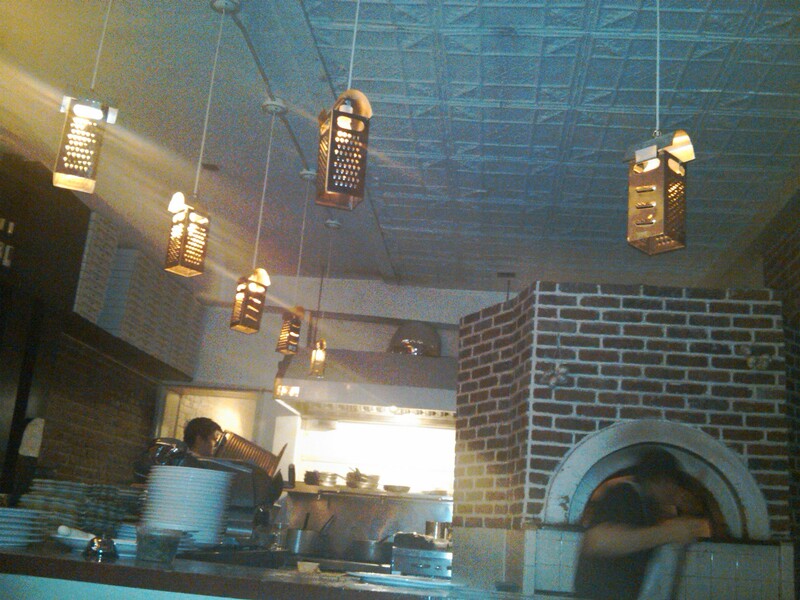 I dig their light fixtures, which whether or not they are upcycled or made new are a great idea for reusing an old cheese grater. Might just have to hang an old rusty one in my kitchen. This entry was posted on Friday, January 8, 2010 at 6:32 pm and is filed under Upcycling. You can follow any responses to this entry through the RSS 2.0 feed. You can leave a response, or trackback from your own site. Seems to be Pleasant. You have to be very smart!